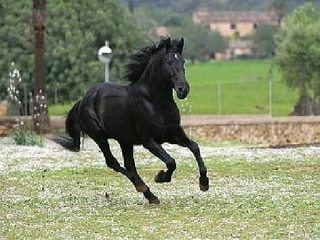 The Mallorquin Horse is breed of rare Spanish horses that is indigenous to the island of Majorca in the Balearic Islands. 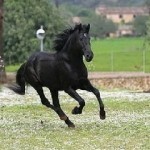 This breed is used by the local population only as a riding horse. The census conducted by the ‘Ministerio de Medio Ambiente y Medio Rural y Marino’ identified only 172 individuals in the breed in 1983. Two years later, the population doubled to 247 heads in a calculation conducted by the horse’s stud book. 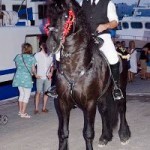 The origin of the Mallorquin Horse is not very clear. 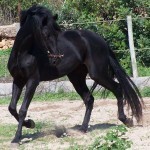 However, a genetic study conducted by the ‘Spanish Celtic Horse Breeds’ infers that, the Mallorquin is associated to the Catalan horse, which itself is extinct now, and was genetically connected to the Celtic horses with African genetic influence. The Celtics were introduced to the Iberian Peninsula by the Celts in about the 8th century BC. 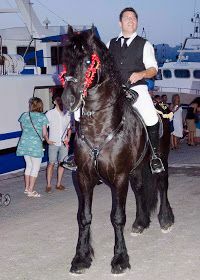 In 1985, the Mallorquin Horse was identified for the very first time by the authority for the autochthonous breeds of Mallorca (‘Patronato para las Razas Autóctonas de Mallorca’). Being kept isolated, their bloodline remained purer than many other similar breeds. 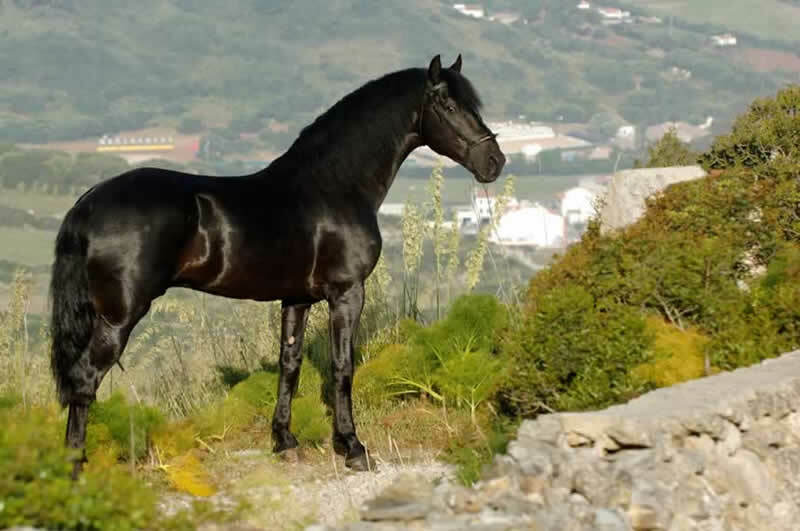 Later, in the second half of the 19th century, Andalusian and Arabian horses were imported in order to breed with the Mallorquin horses. 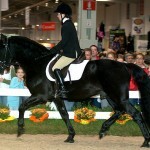 This was done primarily to induce their trotting quality into this breed. 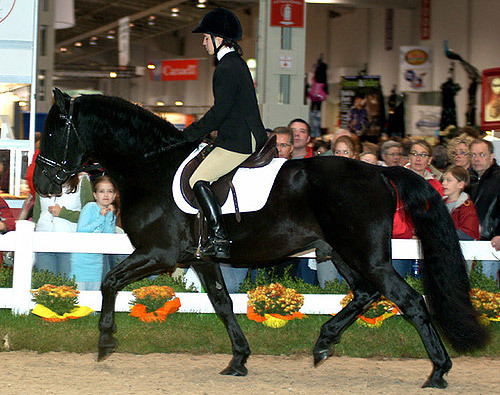 In 1992, a breeders association for these horses was established for the preservation and propagation these equines, after the breed faced a gradual declination resulting from cross breeding programs, and the mechanization of agriculture. The result of this program is proving to be successful. 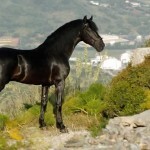 The Food and Agriculture Organization of the United Nations listed the status of these equines to be ‘critical’. 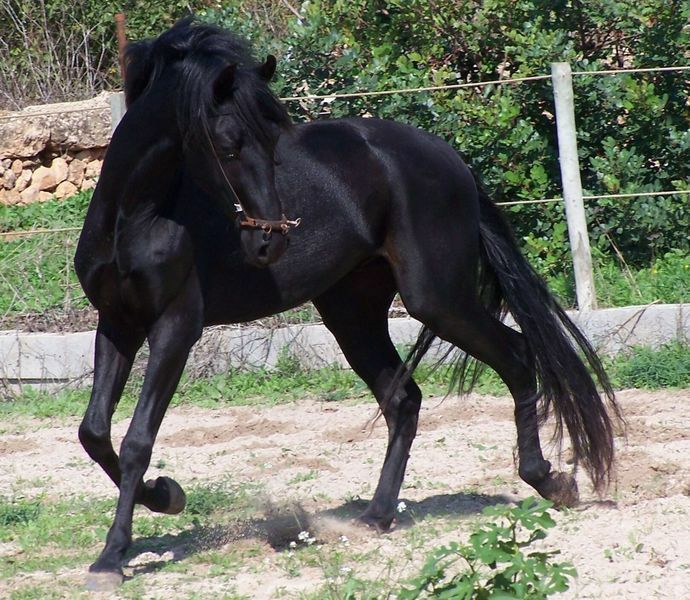 Recent genetic study has revealed that there is a little influence of the Mallorquín on the Spanish Trotter breed. 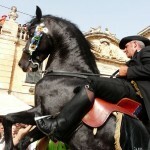 The Mallorquín has been listed in the ‘Catálogo Oficial de Razas de Ganado de España’ (the group for indigenous breeds) in danger of their extinction. 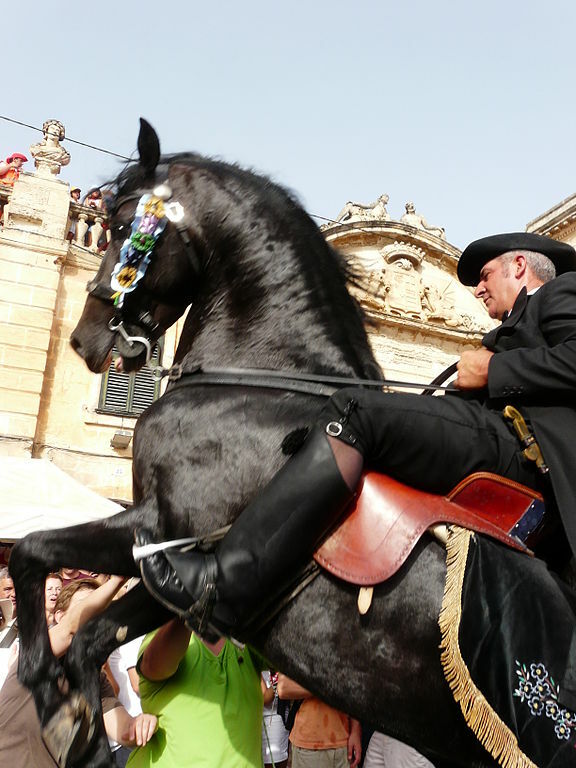 Mallorquins with white leg markings are disqualified from registration. Notnihg I could say would give you undue credit for this story.